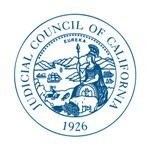 SAN FRANCISCO—The second full week in May was established in 1998 by the California Legislature to acknowledge the important contributions of citizens who devote their time in “making the cherished Right of trial by jury a reality.” Superior courts throughout the state will celebrate Juror Appreciation Week, May 13–17. • Approximately 80 percent of prospective jurors complete service in one day. • The Judicial Council adopted rule 2.1002 of the California Rules of Court, enacting the one-day or one-trial policy in state courts effective July 1, 1999. By May 2002, “One Day or One Trial” was in effect statewide. Since that time, there has been an increase in the number of jurors who complete service in one day from about 66 percent in 2001 to 80 percent in recent years. In addition, those called for jury service can receive a one-time deferral of service upon request. • Ideals Made Real, a 14-minute jury service orientation video, provides an overview of the juror experience. In addition, the judicial branch has produced information for employers, as well as Court and Community, an online resource that provides information on dress code, court amenities, and frequently asked questions for jurors. • Focus on the Courtroom posters are displayed in jury assembly rooms to remind jurors that inappropriate use of social media and the Internet is prohibited during a trial. What jurors “tag” or “tweet” and who they “friend” could be grounds for a mistrial or grounds for appeal, adding cost to taxpayers for a new trial. • The Judicial Council adopted plain language jury instructions in criminal and civil trials and jurors can ask permission to ask questions and take notes during trial. For more information, visit www.courts.ca.gov/juryservice.htm.